At the age of five, Paul Hughes survived a devastating fire that destroyed his family home. 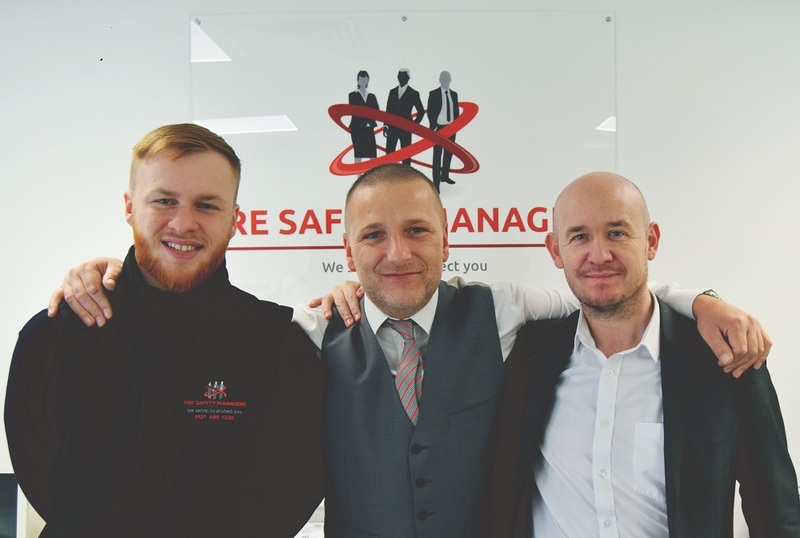 In 2015 Paul launched his own fire safety business Fire Safety Managers and is now delivering lifesaving solutions and training to businesses and education providers across the country from his Chester base. Fire Safety Managers secured £35,000 as part of their funding round from NPIF – BFS & MSIF Microfinance – a product fund managed by GC Business Finance in partnership with MSIF and part of the Northern Powerhouse Investment Fund (NPIF). The eight strong company specialises in installing fire alarms, fire extinguishers and emergency lighting alongside conducting risk assessments and fire safety training, including interactive workshops for children. The £35k investment will be used to fund at least three new full -time jobs in Chester, to invest in marketing and training and to achieve accreditations that will enable the business to tender for opportunities for larger multi-nationals. Paul Hughes, CEO at Fire Safety Managers, said: “Having been trapped in a serious fire in my childhood I went on to build a 15 year career focused on promoting fire safety and awareness. When an opportunity arose a few years ago to start my own business, I was determined to build a company that would deliver a better quality and better value service. Fire Safety Managers was introduced to GC Business Finance by DropJaw Ventures in 2017 and continue to receive investment and mentoring from Roy Shelton and his team at DropJaw. Mark Gibbons of GC Business Finance said: “Fire Safety Managers (FSM) has achieved very impressive growth in the last three years and Paul has worked hard to put in place an ethos, a structure and a management team that will ensure this continues for the long term.